With road construction activities demanding higher productivity, tighter project completion schedules, and competitive cost of operations, motor grader manufacturers are making advancements in their machines and enhancing their service and support offerings. NBM Media reports. The continued upsurge in road construction projects is sustaining demand for Motor Graders characterized by economic feasibility in owning and operating them in the mega national and state highways and rural roads. This is driving competition amongst manufacturers to develop more advanced solutions as motor graders are now coming with a lifespan of 15-20 years. According to industry estimates, sales of motor graders is expected to be around 1200 units in FY 19 in the 100+ HP category, and as per iCEMA, 1100 units were sold till December 2018, with demand likely to grow by 15% in 2019. CASE India is offering motor graders that are imported from its manufacturing facility in Brazil. Says Shalabh Chaturvedi, Head of Marketing, CASE India, "Our premium 845 B, 14-ton and 865 B, 15.5-ton graders assure higher productivity, reliability and a significant amount of availability to contractors, with lesser maintenance costs. This gives them more cash flow to take care of their financial liabilities, earn a decent profit, and avoid paying any penalty. Our machines are equipped with Fiat FPT, CRDI, electronic engines. CASE India graders are best in class in Fuel efficient, so owners of CASE India motor graders enjoy higher savings and lesser owning costs. Plus, being premium products, they have a higher resale value." Chaturvedi, informs that both the CASE 845B and CASE 865B have a higher traction, and feature the new, fully fixed differential, which enables them to perform even when the wheels get stuck in soil. CASE 865B, which is targeted for mining application, comes with an accumulator, which enables the grader to absorb jerks caused by its blades hitting stones while working in rocky terrains, thereby preventing the jerks from affecting the super structure. CASE India graders come with a standard AC cabin; however, the company is also offering a separate non-AC cabin version for the Indian market. ACE is building up its road construction equipment business, with its 15-ton motor grader - AG 176, designed to offer higher productivity at a competitive cost. Informs Dalip Ojha, National Head-Sales, ACE, "AG 176 has advanced ZF Technology Transmission, Meritor axles, and is powered by Cummins engine, which makes it comparable to the best in the world. It delivers added advantages to users such as 5-10% higher Cu.m. output per litre of fuel consumed; and its Centralised Lubrication system leads to increased reliability and reduced maintenance. Air conditioned and an ergonomically designed wide-view cabin are the other value-added features of our graders. Other competitive features are higher drawbar pull of 9540 kgs, and blade down force of 7140 kgs, plus, the motor graders come with optional ripper and dozer attachments." "We understand that there is an ever-rising pressure on work margins, so, as a highly customer centric company, we are supplying the graders fitted with best in class components, and additional features like AC cabin, and a self-lubrication system. Advanced telematics in our machines help the owners/users to remotely monitor and supervise the functional parameters of the machine and remain updated on its health and performance. This helps them in maintaining the machine for better performance and reducing maintenance costs in the long run," informs Ojha. Targeting the PMGSY contractors and sub-contractors, ACE has recently launched AG 106 grader with 9 feet blade. ACE presently offers, two grader models for the Indian market, one with 12 feet blade and another with 9 feet blade. Avers Sanjay Saxena – VP & Head- HE and Concrete Business Unit, Sany Heavy Industries India, "Sany is always known for its technologically competitive products. Our SAG160 and STG170 motor graders, for instance, have transmission with Tiptronic technology that gives higher productivity and lower operating and maintenance cost to users. Our graders are fitted with 160 HP and 200 HP engines that have variable air flow turbo charger and a 3-stage filtration system for high torque and fuel efficiency, leading to high productivity of the graders. The NOSPIN differential technology ensures anti-skid performance and powerful workability. We are in the process of launching an automated grading system, which will further enhance the quantity and quality of grading and maximize the productivity of our graders." He adds, "Sany's motor grader STG170 is fitted with a 172 HP engine and is designed to offer maximum levelling performance. Its high power strength generates higher productivity. With its highly responsive load-sensing hydraulic system, the motor grader can achieve high-precision motion control." Presently, Sany India offers 4 models in India-SAG120, SAG160, SAG 200 and the newly introduced STG170 in 120-200hp category – all models are imported and assembled (with the addition of specific localized aggregates) in Sany's India factory. Nischal Mehrotra, Director-Sales, Liugong India, informs that the company had been concentrating majorly on the hiring segment. During bauma Conexpo India 2018, it launched a higher version of motor grader CLG 4180, fitted with a 180 HP patented Cummins electronic engine. "It has got automatic transmission, variable pumps to speed productivity, higher capacity blades, which would reduce cost per ton and a GPS which would save on manpower cost. 4180 is right now under testing stage and would be commercially launched by April 2019." Liugong India's CLG 414, 150 HP motor grader for the India market is indigenously manufactured at the company's Pithampur facility barring few components like hydraulics and tandem, which are imported. Manish Arora, Business Head, Mahindra Construction Equipment India, says, "Our brand of Mahindra Road Master graders G75 and G90 have superior mechanization and are suitable for constructing small to medium roads, and for widening of state and national highways. They are also most suitable for application in railways network expansion and in large industrial land development." Adds Arora, "The motor grader market in India and in other developing countries is dominated by imports from countries like USA, Japan, China, Sweden etc. These products are made as per the needs of the developed world where the proportion of multilane highways is more than 60%. In India, out of the 52+ lakh kms of road network, only 2.5 lakh kms are multilane, which makes them less than 5% of the entire network, whereas the main district roads (MDR), other district roads (ODR) and village roads (VR) constitute more than 70% of the roads in India. Similar is the case in other developing countries." "The top width of these roads typically varies between 3 m to 7.5 m, hence the work content as well as financial budgets are significantly lesser compared to multilane highways. Motor grader design by the developed world are too large for our roads, and, hence, grossly unutilized and too expensive, which makes them unviable for a large proportion of road construction projects in India. This has led to very limited use of motor graders for road projects (other than highways) resulting in issues like slow pace of work, less than optimal quality, etc." "However, machines like our RoadMaster are tailormade for Indian road construction requirements. For instance, our model G75 uses a 79 HP engine; G90 has a 91 HP DiTEC engine developed by Mahindra. Both machines have a 3 m (10 ft) wide blade and are optimized to deliver zero compromise grading at approximately 50% and 75% productivity, respectively, as compared to conventional motor graders. 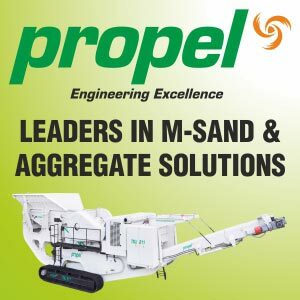 This productivity suits the amount of material supply on most road construction sites in India and in other developing countries, allowing users to maximize equipment utilization. What's more, the cost of ownership of G75 and G90 is much less than conventional motor graders of prominent brands." CASE India has an active fleet of more than 400 motors graders in India, supported by its 70 dealers and three company-owned dealerships. It has a parts depot in Indore and parts are also stocked in areas where there is a large fleet of CASE graders. The company offers customized service packages and provides operator training at its plant in Pithampur and at construction sites. "The electronic FPT engines, enables on-board diagnosis of the varied operating parameters in CASE motor graders. This enables the operators to undertake timely preventive and predictive maintenance," informs Shalabh Chaturvedi. ACE has dealers and area offices in 100 locations, supported by 15 Area/ Regional offices, which are located in Delhi, Mumbai, Chennai, Kolkata, Ahmedabad, Pune, Jaipur, Raipur, Bhubaneswar, Lucknow, Indore, Hyderabad, Bangalore, Vizag and Cochin. These Area / Regional Offices are in turn supported by the Marketing HQ and a Product Support Division in Faridabad. A toll-free service enables customer complaints to be attended within 24 hours. Says Dalip Ojha, "To ensure high availability of our motor graders, most of the spares, and especially the critical ones, are stocked at our dealer points for timely supply. We conduct training for enhancing our engineers' skill levels, besides which, we offer 15 days free training to every new customer. The training covers all the aspects related to machine operation and safety parameters." Sany India has a network of 25 dealers across India, and 5 dealers in Nepal, Bhutan, Bangladesh, Sri Lanka and Maldives. More than 110 3S offices supporting sales, spares and service are helping Sany's operations across South Asia. The company has a parts depot in Pune and several regional warehouses. An in-house call-centre ensures prompt response to all customer queries. With its headquarters in Pune and 5 regional offices, the company is strategically placed to meet the demands of the growing industry. Sanjay Saxena informs, "SANY India has a state of the art training centre in Pune where certified trainers impart training for maintenance and repair of machines to our internal team and customers and also to operators under the Government of India ambitious Skill Development initiative." LiuGong's network of 23 dealers with over 60 touchpoints are spread across the country. Says Nischal Mehrotra, "To strengthen our marketing and after-sales support, we either appoint a new dealer for a new territory or add a touchpoint for an existing dealer. Our dealers maintain an inventory of parts throughout the year, especially near major project sites. We conduct operator meets and provide training to operators at project sites and at our factory twice a year, and also acquaint them of the latest technologies in our machines." Mahindra has a 65+ strong dealer network covering over 400 districts. Says Manish Arora, "At Mahindra, we believe in providing value to customers right from product development by utilizing the best technology. Our RoadMaster is a truly personalized machine with a new-age digital cluster and DigiSense telematics that helps the operator to identify and troubleshoot problems by reading messages and hearing warnings in 6 different languages." He adds, "As part of our pre-sales services, Mahindra encourages customers to get a feel of the equipment through demos in their locality so that they can understand the operations and the machine's various attributes. Training is imparted to operators at the central as well as at 5 regional training centers of the company. Customers are also entitled to one year unlimited hours of service warranty. The advancements in motor graders is well likely to drive the pace of road construction and insulate the contractors from paying any penalty. However, optimum utilization will have to be backed by higher levels of proactive product support from the OEMs.